One of the hardest things about living overseas is missing loved ones’ milestones. In the past week, two of my lovely nieces celebrated birthdays back home. Every time we get together, I’m amazed at how much they’ve grown and learned and become their own individuals. How I would love to celebrate with them and treat them to a special birthday breakfast. 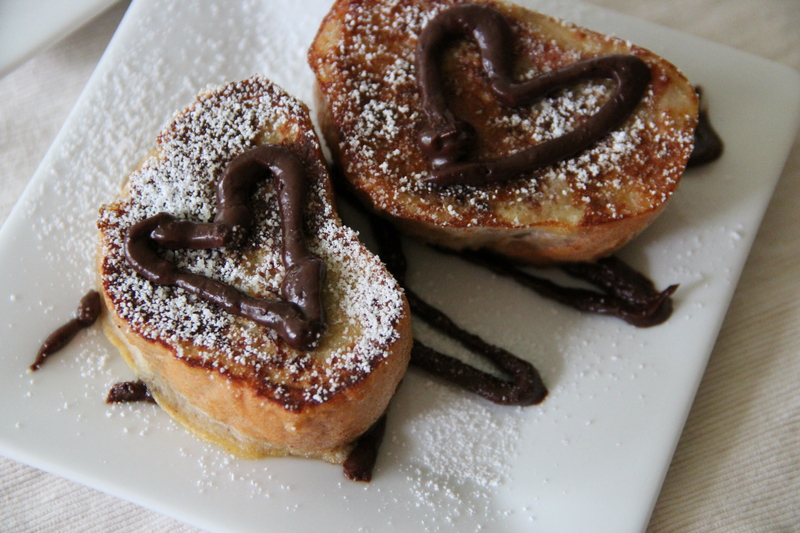 Today I made a chocolate banana cinnamon french toast that I adapted from a recipe in Healing Spices. I hope one day I can make it for them to enjoy while we talk girl talk the way aunties and nieces are meant to do. This is for you, L & E. Happy Birthday, sweet nieces! Directions: Place the bananas, milk, cinnamon, nutmeg, cloves & pinch of salt in a blender or food processor. Add the cracked eggs and process until smooth. Transfer to a large pan. Add the bread slices, turning occasionally, until the bread has absorbed most of the mixture (for dense bread, 20-30 minutes). Meanwhile, melt the chocolate chips in a bowl in the microwave, careful not to burn the chocolate (30 seconds at a time, two times, stirring after each time) and add 2 or 3 pats of butter to make the chocolate a shiny, glistening consistency. Use a make-shift piping bag (plastic bag with a corner snipped off) to decorate plates with chocolate squiggles. When bread is ready, heat a large frying pan with a pat of butter over medium heat. Add the bread in batches and cook until golden brown, about 3 minutes on each side. 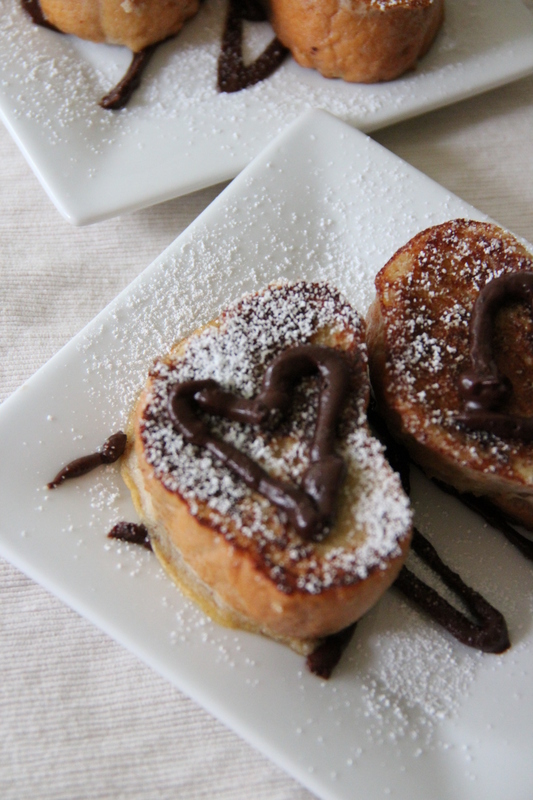 Place the cooked french toast on top of the chocolate squiggles; shake some powdered sugar through a strainer over the plate and top with more chocolate. Maple syrup, honey drizzle, berries, or whipped cream optional. Categories: Breakfast, Kids, Uncategorized | Tags: Banana, breakfast, Chocolate, Cinnamon, French toast, Healing Spices, Nieces | Permalink. I totally get this post, Laura. I feel much the same way about missing my family. Can’t wait to try the recipe! Thanks, Sarah. Makes you appreciate those special times when family is together, doesn’t it? Hope you like how the recipe turns out.